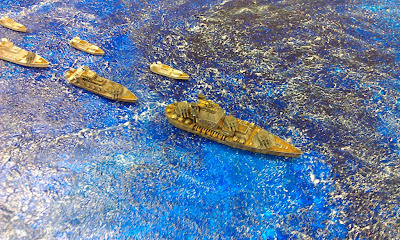 Robertson's Rules of Disorder: Dystopian Wars - my latest diversionary project! 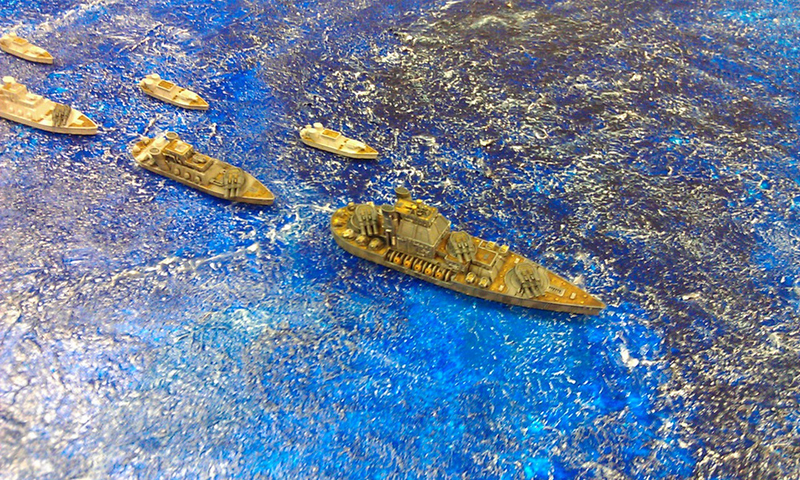 Dystopian Wars - my latest diversionary project! Here is the beginning work on my Dystopian Wars Prussian fleet - the battleship is going well, just some touch-up here and there, followed by some detail work and camoflage stripes on the hull. The cruisers are a bit behind, but I've been experimenting on getting them to "look right" according to the box. Thus far they look alright, some details, stripes and an emblem here and there, and they will do nicely. My friend Jeff bought the British Empire and we are going to get together and try out the rules and see if we like them! Click on the photo to view it large!